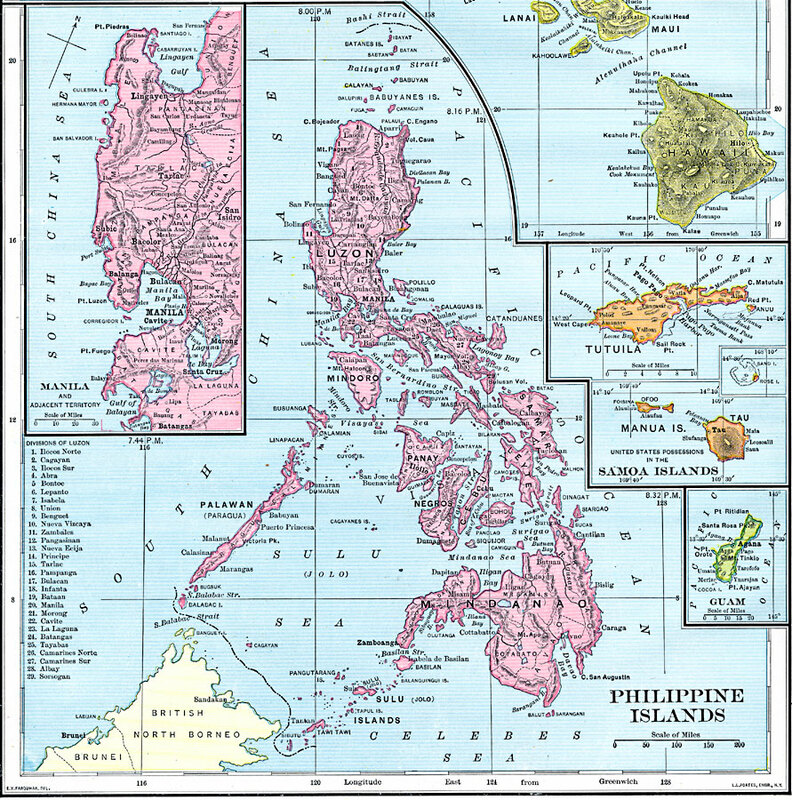 Description: A map from 1902 of the Philippine Islands, showing the provinces at the time, major cities and ports, railroads on Luzon, rivers, terrain, and coastal features. The divisions of Luzon are numbered and listed on the map. Inset maps detail the area around Manila from the Lingayen Gulf in the north to the Gulf of Balayan in the south, and also detail the Pacific islands (under possession of the United States at the time) of Hawaii, the Samoa Islands (Tutuila, Rose Island, Manua, and Tau), and Guam.